Six others have been interviewed under caution, with one remaining under investigation as part of what Justice Minister Lucy Frazier described last month as an “expansive” criminal inquiry. Hudgell Solicitors are representing 35 people who have already had their convictions quashed, and others who are pursuing civil cases seeking damages. Andrew Petherbridge, the firm’s head of civil liberties, said: “This is a national scandal which has had a devastating impact on the lives of the many people we are representing. 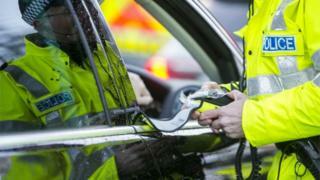 Scaffolder Luke Pearson, 26, from Manchester, was breathalysed and performed a road side drugs test for Greater Manchester Police after an accident in November 2016. He tested positive for being over the drug-drive limit, and being an occasional cannabis user, accepted a 12 month ban and a fine of £480. His conviction was overturned in February in light of the Randox investigation. “It was devastating to me,” he said. “I needed to travel to sites as part of my job as a scaffolder as we worked across the country, so as a result of me being banned I lost my job. Mr Pearson said that it put “a strain on life and on my relationship with my girlfriend” as he “struggled with bills and rent”.